Serious about studying Chinese? Join almost two million fellow students from all over the world who have taken the HSK test - China’s official language proficiency exam. The test measures the ability of a non-native speaker to use Chinese in their daily, working and academic life. A HSK score is not only a way to measure your progress in Chinese, but also opens the door for many scholarship and summer camp applications. It is internationally recognized and often used by governments and multi-nationals as a basis for employment, promotion and pay increases. Watch the video to see how taking the HSK can benefit you. Confucius Institute Headquarters (Hanban) in Beijing runs the HSK test internationally and the Confucius Institute at UWA hosts the exam in WA. Testing is held in February and October at our Claremont campus. 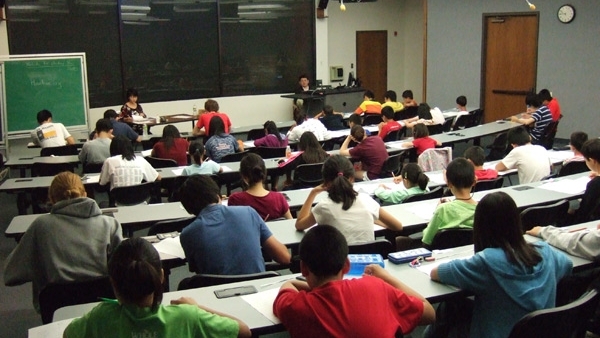 The Confucius Institute provides individual tutoring for the HSK exam upon request. Please fill out the enrolment form and contact tests-confucius@uwa.edu.au to enrol. Please use https://www.trybooking.com/LULB to process your payment. The YCT test was developed by Hanban in an effort to encourage non-Chinese speaking primary and secondary school students to learn Chinese and improve their Chinese language proficiency. It consists of four levels in line with the HSK testing system, with the highest level equivalent to HSK Level 3. The Confucius Institute will hold YCT tests in August and November 2019. If you are interested in taking the YCT in the future, contact us or your school Chinese teacher. To register please follow the steps on http://www.chinesetest.cn and use Trybooking (HSK) or Trybooking (YCT) to process your payment. Please note candidates are able to pay for both the August and November YCT tests using TryBooking. However the chinesetest.cn site will currently only accept registrations for the August test. Please check back here for any updates. For YCT group bookings, please fill in the 2019 YCT Registration Form on this page and email it to tests-confucius@uwa.edu.au. For further information related to HSK or YCT at our Institute, contact us on (08) 6488 6888 or at tests-confucius@uwa.edu.au. More information and sample tests can be found at the Hanban Chinese test website.